Two months after announcing it had kept Wimbledon coverage until 2024, the BBC has confirmed it has also retained the rights to show Tennis from Queen's for another seven years. 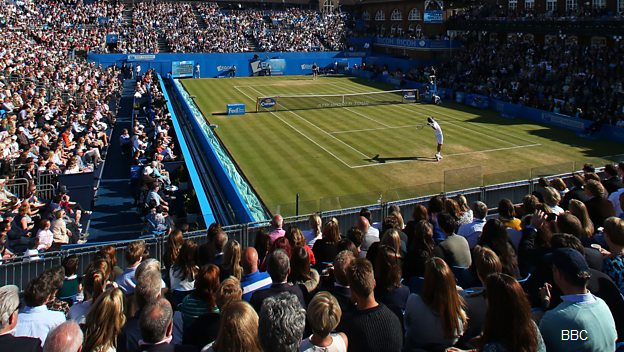 The BBC will continue to broadcast the Aegon Championships at The Queen’s Club until 2024 as part of a new deal that will see the tournament remain free-to-air, strengthening the domestic presence of the grass court season in the build-up to The Championships, Wimbledon. The BBC has covered Queens Tennis since 1979. "The Aegon Championships at The Queen’s Club is one of the most cherished events in the tennis calendar and it’s great that the BBC will continue to bring it to audiences across all platforms until 2024. With a British tennis player as the current World No. 1 there’s no better time for us to reinforce our commitment to the sport." The BBC noted that in 2016, 3.7 million people watched Andy Murray defeat Milos Raonic in the Queen's final, with many more listening on Radio 5 Live and following online on the BBC Sport website.